Cobalt Blue Glass Bottles with white Sprayers. (Bug Away and Cool-Off Sprays are available in Plastic Bottles for convenience of outdoor use). Pure essential oils in a distilled water base. (no additives or chemicals) Use to spray around the body, in the air, on linens, in closets, freshen rooms, ect. Avoid contact with eyes. Available in 2oz or 4oz sizes. 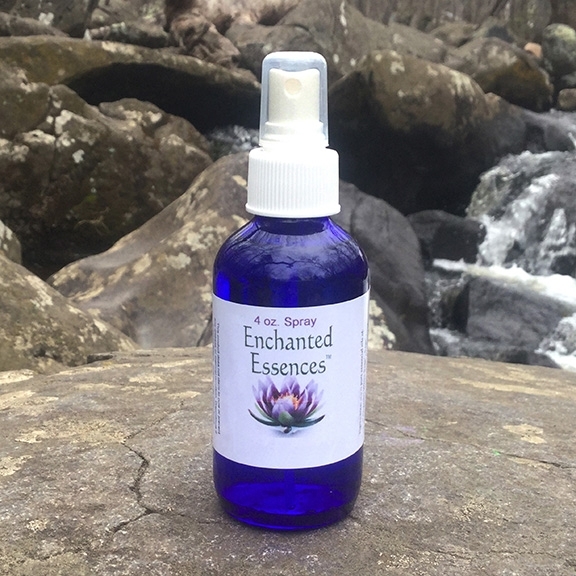 Custom Spray Mist: $9 for 2oz. or $15 for 4oz. 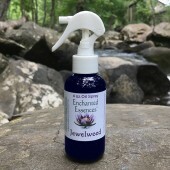 Natural Bug-Away spray mist: $6 for 2oz. or $12 for 4oz. 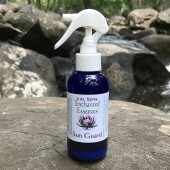 Stress-Relief spray mist: $6 for 2oz. or $12 for 4oz. Cool Off spray mist: $6 for 2 oz. or $12 for 4oz. Energizing spray mist: $6 for 2oz. or $12 for 4oz. Tame the Wild Child spray mist: $6 for 2oz. or $10 for 4oz. 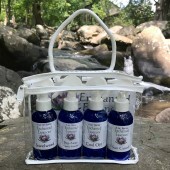 Abundance spray mist: $6 for 2oz. or $12 for 4oz. Vanilla Kisses spray mist: $6 for 2oz. or $12 for 4oz. Sweet Prosperity spray mist: $6 for 2oz. or $12 for 4oz. Aphrodite spray mist: $6 for 2oz. or $12 for 4oz. Uplifting spray mist: $6 for 2oz. or $12 for 4oz. Rose Water spray mist: $8 for 2oz. or $16 for 4oz. Virus Protection spray mist: $6 for 2oz. or $12 for 4oz.